Last year over half a million people ran and completed a full marathon. There is something about this race that just attracts people young and old. For one small band of runners, including ActewAGL General Manager Retail Ayesha Razzaq, completing this year’s New York City Marathon on Sunday 2 November is about changing lives. “The marathon coincides with a significant milestone birthday and I feel it is my time to give back and help others achieve their goals. For this reason I have decided to channel my training efforts towards raising awareness and funds for the Indigenous Marathon Project (IMP). “The project is not just about the running, it’s about inspiring change, fostering confidence and bringing a sense of achievement to young Indigenous people. The IMP is an initiative that utilises marathon running as a vehicle to promote healthy lifestyles to Aboriginal and Torres Strait Islander people. The project annually selects a group of young Indigenous men and women to complete a six month training schedule to prepare for the New York City Marathon. The young athletes combine their training with study, completing a Certificate IV in Leisure and Health. Unfortunately, many Indigenous communities in remote regions around the country are affected by health and social issues, and they often do not have access to the tools needed to counter such afflictions. The IMP prepares and equips participants to re-enter their communities with the knowledge and education to encourage living a healthy lifestyle. 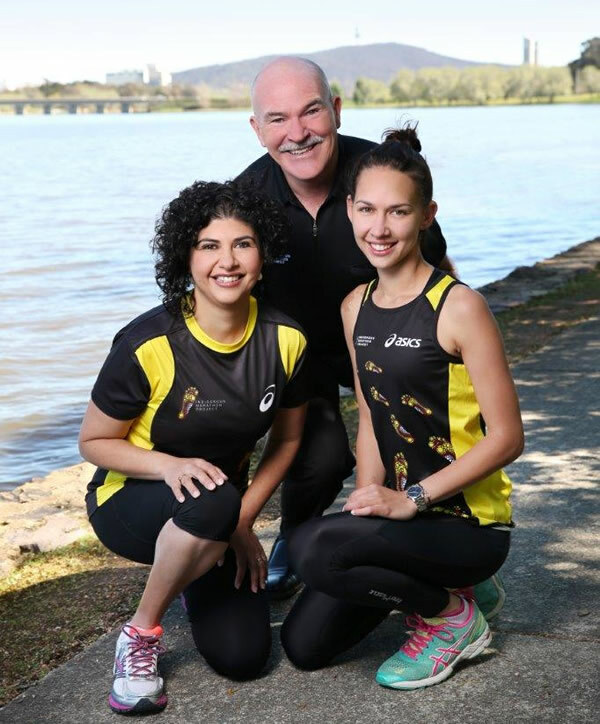 Photo – Indigenous Marathon Project events and education coordinator Nadine Hunt, director Robert de Castella and ActewAGL general manager retail Ayesha Razzaq.